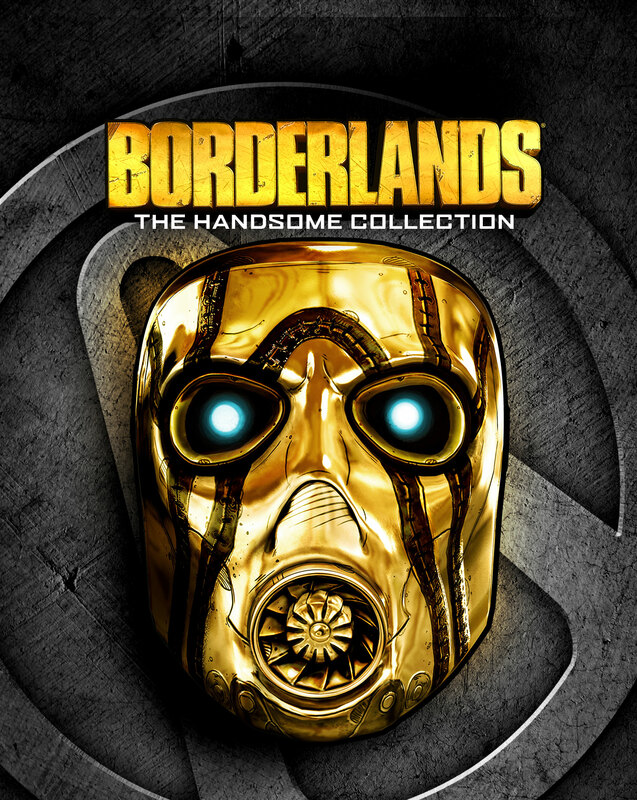 After a little break over the weekend for some family and college friends visits, I’m back with more of the Borderlands: Handsome Collection playable characters. 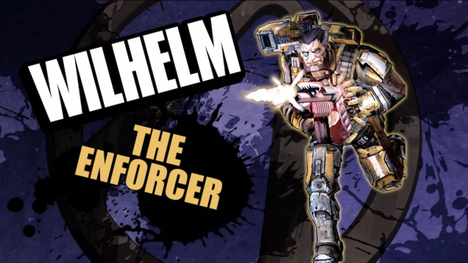 We’ve reached The Pre-Sequel, so we’re getting away from typical RPG archetypes. 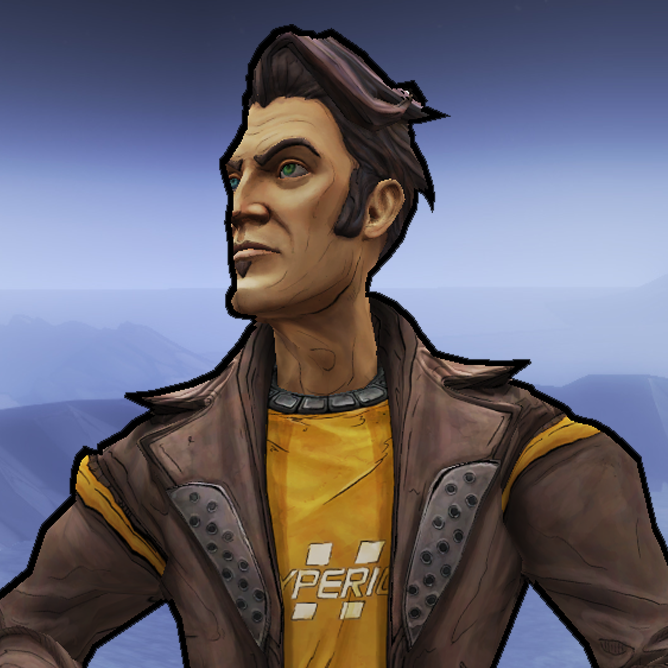 Today, we’ll look at the character that breaks all the rules – Claptrap. He’s the series mascot, but became playable with the most recent game, perhaps being the most popular character in the series. Playing at him is both a fun time, and can be a little annoying, depending on your feelings with his dialogue. 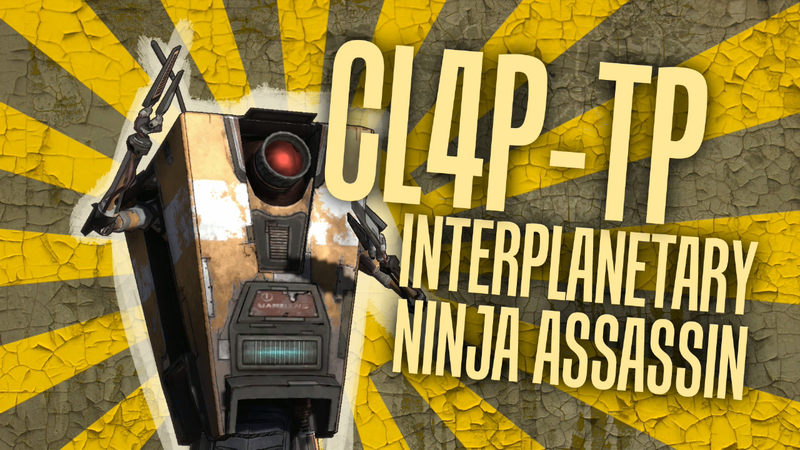 Claptrap’s action skill is a perfect example of his entire character – pure insanity. VaultHunter.exe runs a random subroutine that’s based around the current combat situation. Sometimes that’s a little Blightbot that deals corrode and fire damage, or it could just be that your entire party is constantly bouncing. Sometimes it’s really helpful, sometimes less so – that’s just how Claptrap is. His first skill tree – BOOMTRAP – is, surprise, focused all about explosives. There are a couple skills that impact guns, and there are also a couple that add-in extra sub-routines to VaultHunter.exe, but in general, you’re looking at explosions galore here. The hard part here is that the first two skills have negative aspects to them, which you need to take to move on – one reduces your accuracy after reloads (Drop the Hammer) and the other drains your shields after kills (Killbot). The downsides do balance with nice positives, but it does also mean you need to pay a little more attention. I use this tree, mainly for the two additional subroutines you can get. I Am Rubber, You Are Glue – which gives you the chance to reflect bullets after kills, also adds the Torgue Fiesta sub-routine, which makes you just toss around grenades randomly during VaultHunter.exe. The other one is tied into the capstone skill – Livin’ Near the Edge – which gives you increased fire rate and reload speed; but also adds in Pirate Ship Mode, which turns Claptrap into a pirate ship basically. He shoots off his four cannons to the tune of the 1812 Overture, doing serious explosive damage. It’s useful, and on top of that, it’s pretty funny. His second tree – I LOVE YOU GUYS! – is all about co-op bonuses. A lot of the bonuses you get here either directly impact the team, or transfer when you do something particular. A good example is Through Thick and Thin, which makes your action skill cooldown faster, until you activate it, which transfers the bonus to your teammates. You’ve got two more sub-routines in this tree as well, Clap-in-the-Box and Gun Wizard, both tied to skills that really help out in co-op play. But for me, the real fun skill here is the capstone skill – HIGH FIVES GUYS. Holding the melee button asks for a high five – if your teammates give you one, you and them get extra gun damage, fire rate and health regeneration; if they don’t give you one, than you get the gun damage and health regen. You’ve got a 30 second cooldown between high fives, but it’s another skill that I think just perfectly suits Claptrap. Finally, his last skill tree – FRAGMENTED FRAGTRAP – is the one that’s a little complicated. It’s built around using subroutines – weapon and shield ones – to change the bonuses you get. You have to take the two skills that turn on the subroutines – All the Guns and Safety First – in order to progress down the skill tree. Ultimately, using the tree just means you have to be flexible. In particular All the Guns means you really should have a couple strong weapons of each weapon type. You’ve got other ones scattered in there – a melee one (Rope-a-Derp) and an elemental one (Element of Surprise) – and the other skills generally are just straight bonuses. The VaultHunter sub-routines in this tree are also pretty cool – One Shot Wonder empties your clip when you fire while it’s active, which is tied to the Tripleclocked skill. The other one is tied to the capstone skill Rainbow Coolant, which triggers a huge Rainbow Nova when you start a new subroutine. The VaultHunter sub-routine here is Laser Inferno, which summons up a disco ball that constantly emits lasers dealing fire, corrode and shock damage. Claptrap is a really fun character across the board. He’s really flexible – you can build him pretty much however you like. The only real framework to think about is the character achievement, which asks you to experience every VaultHunter.exe sub-routine, including the ones in the skill trees. He has a lot more to say than the usual characters do, so if you aren’t a fan of Claptrap to begin with, you might want to turn that dialogue slider down a bit. Otherwise, let him run his mouth a laugh away at his ridiculousness. 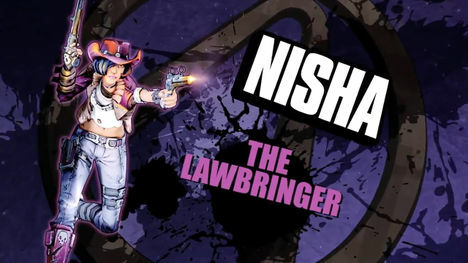 Returning our attention to the plethora of characters available in Borderlands: The Handsome Collection, let’s start looking at the playable characters in The Pre-Sequel. Now, I’ve written about the four default characters here in the past – but this time around, instead of going over each skill individually, I’m going to look at them just like I just did with the previous game’s characters. We’ll quickly look at the action skill, then take a top-level look at each skill tree. 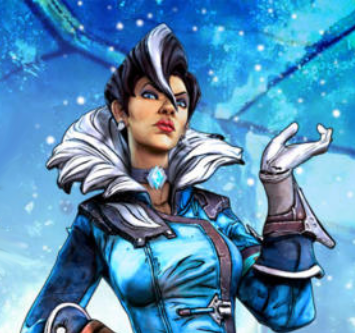 We’ll start today with Athena, the only playable character from this game that appeared first in the original Borderlands. In her initial appearance, she was an NPC in the Secret Armory of General Knoxx DLC. She’s changed a bit now that’s she’s playable though, so let’s dive in. 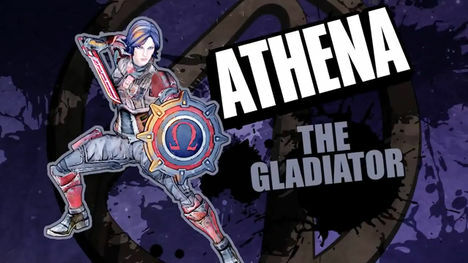 Athena is the closest thing to a tank character that this game has, thanks to her action skill. When you activate it, she pulls out her kinetic apsis shield, absorbing damage, then returning it when you toss it back at enemies. If there’s one thing that this game does with the characters, it’s avoiding traditional RPG roles. Sure, there are skills in Athena’s tree to make her more durable, and the other characters to help increase other roles, but there isn’t really any characters that fit into those boxes. Because of that, you’re really a lot more free to go about playing the characters however you feel. Her first skill tree – PHALANX – is all about building up your kinetic apsis. This is your tank tree right here – there are skills that make the apsis stronger offensively sure, hell the first tier has a skill that increases the damage it deals. But in general the skills here increase your defenses. There are skills that even add in some medic skills – Vanguard gives your whole team health regeneration while the apsis is active. If, for whatever reason, you don’t feel like going down this tree, I really think you should at least until the tier three skill – Prismatic Aegis makes your apsis able to store elemental damage, making it that much more effective. If you do stick with it, the capstone skill is pretty useful too. With Wrath of the Goddess, your apsis will bounce between targets, making it even more useful against groups of enemies. Her second tree – XIPHOS – is more focused around melee attacks. The big selling point is the tier three skill Rend, which adds the bleed effect to melee attacks. Essentially, bleed is a non-elemental damage over time effect. Once you’ve taken Rend, the further skills add extra effects while you have enemies bleeding. You’ve got health regen (Bloodlust), extra gun damage (Tear), extra firerate and reload speed (Fury of the Arena) and explosions on death (You’ve Got Red on You). Add in the capstone skill, Blood Rush, which lets you do a melee rush dealing extra damage, and you go from being a defensive character, to a melee machine. The problem is that this tree tends to be the most narrow focused, and thus most limited in use. Which brings us to the final tree – CERAUNIC STORM – which is all about elemental damage. You have to take Maelstrom in order to progress down the tree – which is a stack mechanic based around dealing fire or shock damage. Each stack you have, the more elemental damage you do. Unlike some of the other stack mechanics – like Anarchy – this one doesn’t really have a downside, nor is it particularly complicated. Deal fire and shock damage, get extra elemental damage, boost later skills. There are a couple skills in this tree that tie together – Storm Weaving and Elemental Barrage – for example, so it’s worth being thorough with this tree. There are great skills in here too, Smite, which does extra damage when you attack from air; Zeus’ Rage makes your apsis create a fire and lightning storm; and the capstone skill, Hades’ Shackles, which turns your slam attack into a powerful electric damage-over-time attack. Athena is a really well balanced character – she functions well in both solo play and co-op play. It’s hard to really go bad with her – each of her skill trees has a lot of great skills in there.